Relative URLs has some benefits: smaller page size (and thus download time) and making the site more portable when you move to another domain. The 2nd problem often happens and it can make your post links broken. Although it can be solved using some backup & restore plugin like BackupBuddy, or using Search and Replace plugin, we better avoid it before it happens. This post will show you how to make your WordPress site support relative URLs. Note: The topic of relative URLs in WordPress is not new, some people discussed in WP.org forum, and there’s also a solution. What I’m trying to do in this post is making a better, more completed solution. Pretty simple. What it does is removing protocol and domain name from the absolute URLs (without using home_url). After doing that, whenever you show a link in a theme template file, for ex. using the_permalink() function, the corresponding filters will be applied (in this case: post_link), including our wp_make_link_relative function. That means all URLs in your WordPress site will be changed relative URLs automatically without touching to template files. Enjoy relative URLs! The URLs in feed are relative, which is not expected. This was reported by Jared. If you’re using WordPress SEO plugin by Yoast, the URLs in sitemap are relative, too, which causes some problems in Google Webmaster Tool. I’m using relative URLs in Deluxe Blog Tips, and will update this post if I found any bugs. Wow great article and nice comment form. Glad you like this comment form. I take the idea from stackexchange.com sites and the code is still in test. I want receive more feedback from commenters before writing about it. You probably should use site_url() instead of home_url(). I interacted with a core WP developer to get the scoop on the differences between site_url() and home_url() and I document it here in [this answer on wordpress.stackexchange.com]. You could also expand this article to discuss things like the global constants that WP has for URLs and paths, as well as the functions that WP has for URLs and paths. For instance, in plugin development, I use plugins_url() function a lot, and it’s quirky. As for global constants, WP has a ton of them such as ABSPATH, WP_CONTENT_DIR, and so on. Last, you may want to add some cautionary notes about using some of these functions and constants with older versions of WordPress. For instance, I think site_url() works in 2.8 but get_site_url() didn’t arrive until 2.9.2. In general, you’ll find some of these functions and constants regarding paths aren’t there until WP 2.8, which is why my plugins that I build require at least WP 2.8 or greater. In terms of replacing domain name, both `site_url` and `home_url` works well. In my understand, the difference comes *only* when you put WP in a folder. BTW, I don’t use `home_url` at the end, because WP already has a function for that purpose, that function works in all cases and WP-independent. Great article! I actually created a plugin, http://wordpress.org/extend/plugins/roots-plug/ that includes this functionality (among other things) which is based off of the Roots Theme — but since the preg_replace() syntax is a bit different, I’d be interested in seeing if this way works any better. Currently, the relative URL function has an issue when WordPress is installed more than one-level deep – do you know if this does as well? Thanks! This technique still works then (with my latest method, not the method of using `home_url`). I’ve just looked at your code, and see you’re using `site_url`. Maybe it’s the problem. Great tip for the url’s – thanks! But how does it comport with url changing plugins, like wpml? I used to use relative links, but when people would view articles in web based rss feed readers, the links would stay relative to the reader, e.g. google.com/my-relative-link. Any suggestions on how to deal with that? Just updated the post with new code which solves the problem. I dont know.. for SEO purposes and to specify a canonical URL, I much prefer the absolute version. I’m gone to tell my little brother, that he should also pay a quick visit this web site on regular basis to take updated from latest gossip. Regarding the problem of making the site more portable when you move to another domain, there is another solution that I use all the time to move sites from development URLs to live sites. 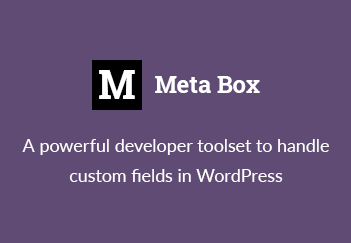 It’s the WP Migrate DB plugin: http://wordpress.org/extend/plugins/wp-migrate-db/. It does a global search/replace on the database, changing not just URLs but file paths and string lengths on serialized data. Thanks for mentioning that plugin. My first choice always is BackupBuddy. The second is Search and Replace. I used it (Search & Replace) several times and it worked nicely. Looks like that the WP Migrate DB can do the migration automatically, which is awesome. I’ll give it a try when I have a chance. Thanks. I’m a bit confused by the home_url() reference in there – can you explain it? I was expecting it to make home_url references in the template rewrite to “/”, but it isn’t for me it isn’t – Im still getting the domain. Hi, `home_url()` returns the URL of your homepage, not the domain. So, replacing it with `/` will make the URL relative. What are you confused here? I am using WordPress 3.3.1 and trying to put the following in my functions.php page for my theme (in order to implement the relative links feature). But it does not work. However, if I do not use add_action hook for template_redirect to call the above function and simply add the following filters, the relative links feature works. Hi! Thanks for the useful article! But i cant add filter for the_post_thumbnail. Added in array “the_post_thumbnail”, but this dont work. How remove absolute URL for thumbnail? I know this post is years old, but is it still valid? I’m running into the https issue of css & uploaded images in the “featured” post not showing because they are showing http instead. can you please help me I am new to WordPress, where should I put this code? which file? and where on the page exactly? Shouldn’t your script use ‘the_attachment_link’ instead of ‘attachment_link’ ? First of all thanks but I’m adding the code on the theme function.php but nothing happen. I dont get it…. How can the function ‘wp_make_link_relative()’ in formatting.php file be called from within functions.php file??? And wat abt the one input parameter that ‘wp_make_link_relative()’ expects? I’m sorry but, i’m a complete noob to php. Please help.